I have mixed feelings about this book. I will start by saying that if you enjoy historical fiction, or this author, I think you will enjoy this book. However, I struggled a little bit with it. I don’t read a lot of historical fiction. I would much rather read the true story than a story only based on true life. So it is not that this is a bad book, it just isn’t my type of book. This book was well written for historical fiction. It was a quick and easy read which was nice for a change after reading a few very serious real life books. 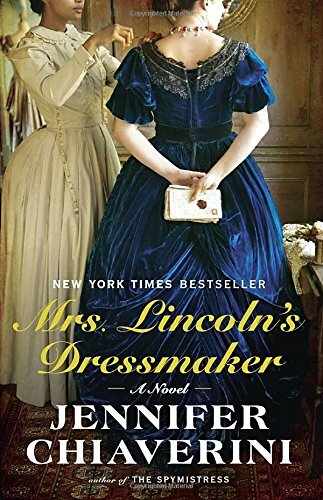 I enjoyed the overall story enough that I bought a non fiction book about the real Mrs. Lincoln’s dressmaker. I am looking forward to reading it soon.